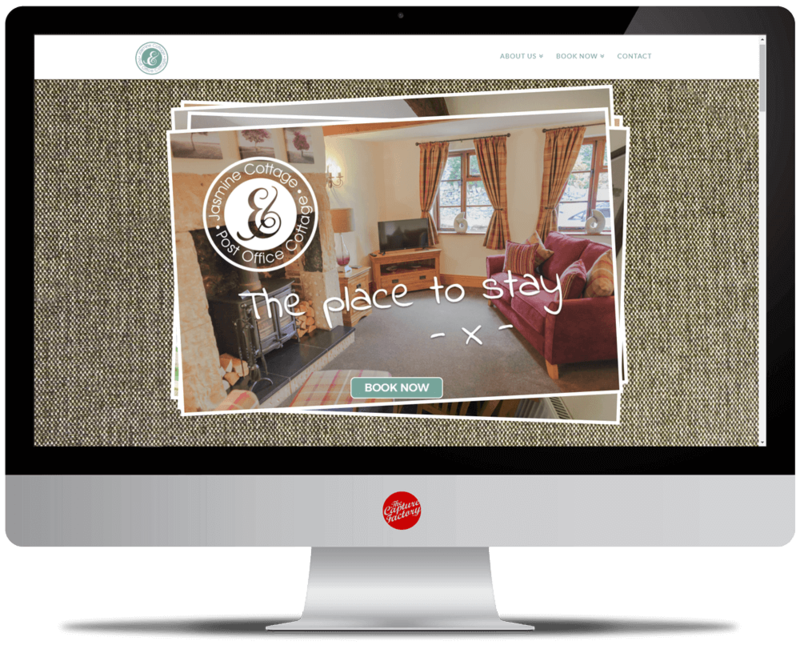 Our latest website has been created for Jasmine & Post Office Holiday Cottage. The gorgeous little country cottages offer accommodation in Stanley, Staffordshire with all the warmth and comforts of home. The owners of the cottages have been clients of ours for a long time and were looking to update their previous website they had with us. 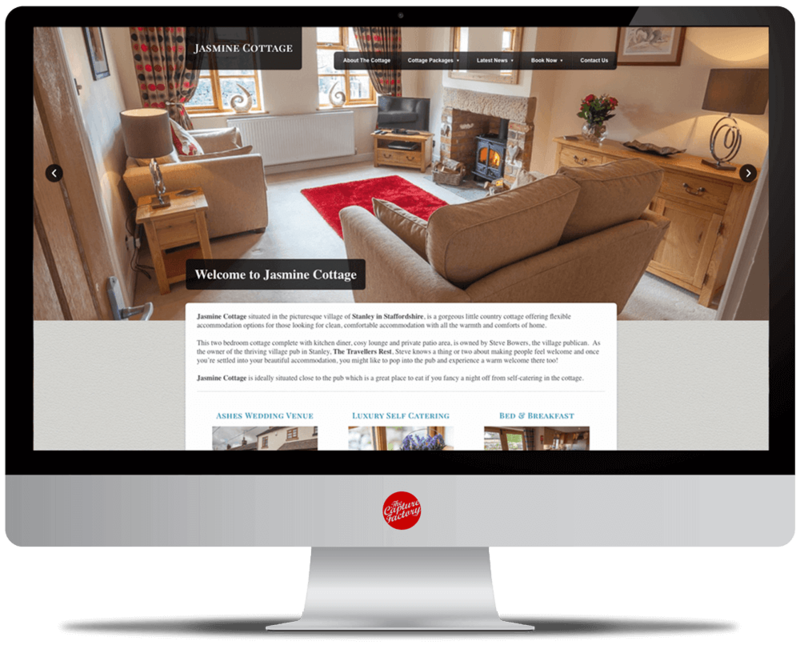 We had designed and developed their last website in 2015 when they owned Jasmine Cottage. Recently they have bought the Post Office Cottage located next door, and they wanted to include this new accommodation on their website. Instead of just adding the new information to the old website, the owners decided they needed a refresh. Their old website design can be seen on the screen. The layout was very boxed and the colours were quite dull. 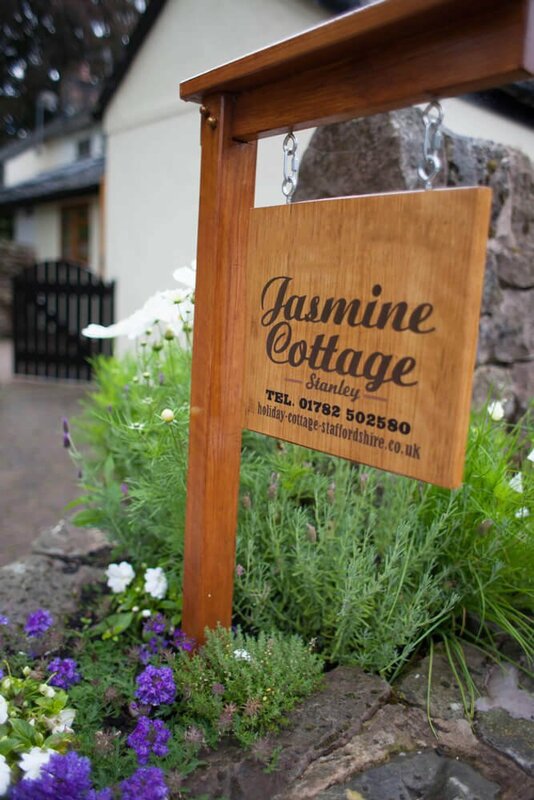 Jasmine & Post Office Cottage required a new, updated look to the website. As well as including new information about Post Office Cottage, the website needed a whole new appearance. Although their last website was only 2 years old, the design and usability was lacking. Because technology is constantly changing and improving, it’s important to keep on top of your website’s image. Our designer presented them with the idea of using textures in the background of the website. The stone and material give extra warmth to the website, enhancing the cottages friendly values. The font used is called Indie Flower and strengthens the homely feel. After the design was agreed, the content was added and the website went live. If you’re looking to improve your businesses look and feel, give us a call today to find out how we can help! The Capture Factory have also produced a Google Business View for each cottage. These 360 degree images take the viewer of a virtual tour of the accommodation, allowing their potential customers to look inside the cottage before booking. Google Indoor Street View is a fun and interactive way to get your customers to enjoy your venue from their own home. Get in touch with us to find out more, or view our blog here.